Harry N. Abrams, 9781419725395, 320pp. Isme´e Williams is a pediatric cardiologist by day and an accomplished author by night. 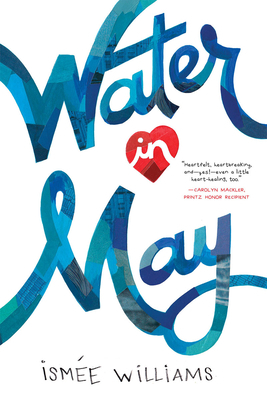 Her first book with Abrams, Water in May, was released in 2017 to critical acclaim. She lives in New York City. "Full of spot-on cultural texture and packing an emotional punch, this is an unusual take on the teen-pregnancy problem novel... Williams presents her experience in a way that demands not pity but respect while also reminding readers of Mari's heartbreaking youth and innocence at unexpected times...Fierce and tender—and absolutely worth reading." "This novel is realistic and compelling, heartfelt and heartbreaking all at the same time. The author’s experience as a pediatric cardiologist brings authenticity to her writing as much as does her experience of navigating cultural barriers. Young adult readers will connect with Mari’s feisty personality, strength, and vulnerability."